LOQ is rooted in designer's Keren Longkumer and Valerie Quant shared love of modern shapes and unconventional proportions. 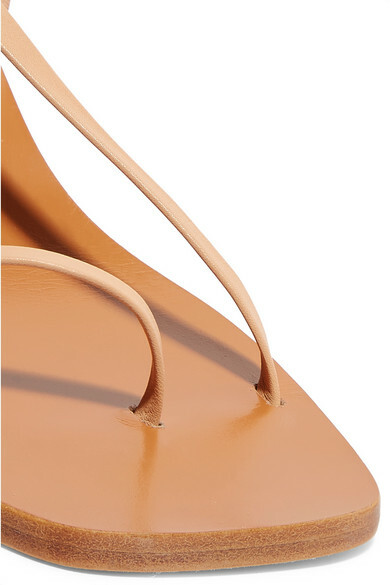 These 'Isla' sandals have been crafted in Spain from pieces of versatile sand leather to create a leg-lengthening, barely-there silhouette. 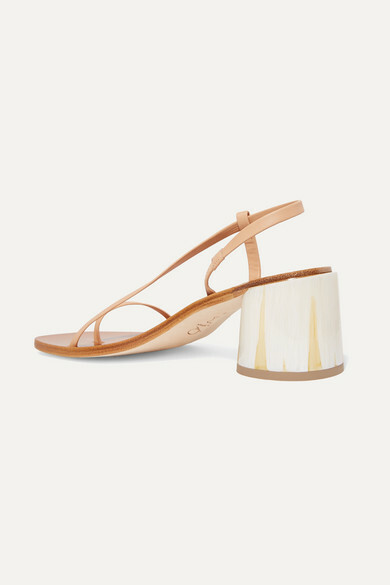 They feature an on-trend square toe and marbled block heel that's been painted by hand. Wear yours with jeans or dresses. Shown here with: Wales Bonner Shirt, GANNI Tank, The Line By K Skirt, Loewe Tote, Alighieri Bracelet, Jennifer Fisher Earrings, 1064 Studio Ring.